The railroad depot was once a vital part of local communities as well as essential to railroad operations. And particularly in the West, depots were often landmark structures. 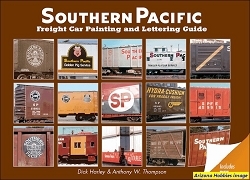 Southern Pacific and its predecessor railroads constructed and maintained depots throughout their territory. Between 1877 and 1894 a series of 26 numbered standard plans for depots was developed, and each plan was successively in use for a few years. By the beginning of the 20th century, there were more than 600 SP depots and telegraph offices. By then, many older depots, as well as most new ones at that time, had been or would be built to these standards. This book describes those depots. The story of depots in SP's far-flung territory is an interesting one: when they were built, what they looked like, and when they were destroyed or were saved. Particularly for smaller communities, the depot was once an integral part of local life, so the life stories of these depots are an integral part of town history. In addition to the 26 numbered standard depot designs, SP also built a number of other de facto standard depots, such as the colonnade style, and several such designs are described here. Also included are a group of stuccoed depots, modernized from older buildings, as well as standard-design depots built by predecessor railroads, such as the El Paso & Southwestern. 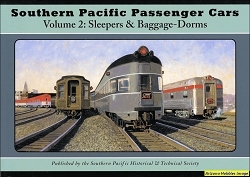 Southern Pacific built each depot with an eye to what was expected to be needed. The overall size of the depot often reflected current or anticipated town size. The agent had quarters upstairs in a two-story depot, essential in places where suitable local housing was not available, but otherwise a one-story depot would be built. Freight rooms were sized according to the expected Volume of business. 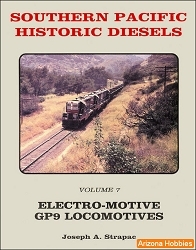 Well-known depot historian Henry Bender has extensively researched this subject, and presents here an authoritative account of hundreds of SP standard depots, illustrated with a fine collection of photographs. The jacket painting is by noted railroad artist John R. Signor. 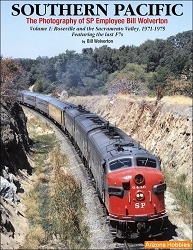 Enthusiasts of the Southern Pacific Railroad will find this detailed account of particular value, but fans of other railroads, and local historians throughout the territory of the Southern Pacific, will also find much of interest. Signature Press, hardcover with jacket, 320 pages, 8.5 x 11 x 2 in., 437 photographs, 46 drawings, bibliography, index.